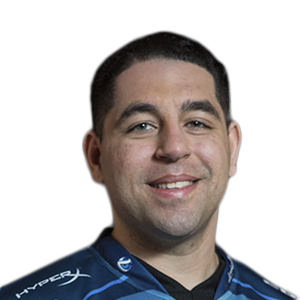 Having worked with teams such as FaZe Clan, OpTic Nation, and Luminosity Gaming, Anthony "NAMELESS" Wheeler is a consummate Pro Player, with over half a dozen 1st place wins, including MLG PAX Prime Invitational, Gfinity 3, and the MLG CoD League Season 3 Playoffs. He cites his favorite Professional Gaming moment to be winning his first MLG championship at MLG PAX Prime Invitational. 1st: UMG Championships, Insomnia 46, MLG PAX Prime Invitational, Gfinity 3, MLG CoD League Season 3 Regular Season, MLG CoD League Season 3 Playoffs, UGC Niagara 2015.